Traditional analyses of nineteenth-century politics have assigned women a peripheral role. By adopting a broader interpretation of political participation, the author identifies how middle-class women were able to contribute to political affairs in the nineteenth century. Examining the contribution that women made to British political life in the period 1800-1870 stimulates debates about gender and politics, the nature of authority and the definition of political culture. This volume examines female engagement in both traditional and unconventional political arenas, including female sociability, salons, child-rearing and education, health, consumption, religious reform and nationalism. 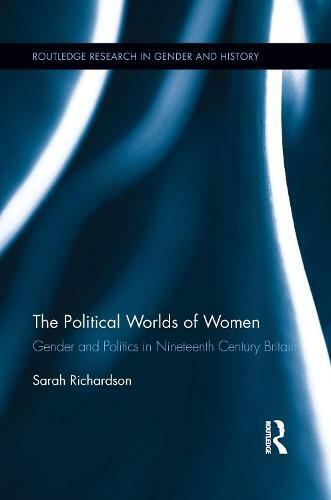 Richardson focuses on middle-class women's social, cultural, intellectual and political authority, as implemented by a range of public figures and lesser-known campaigners. The activists discussed and their varying political, economic and religious backgrounds will demonstrate the significance of female interventions in shaping the political culture of the period and beyond.